Lebanon is committed to launching fast and effective reforms that could be “difficult and painful” to avoid a worsening of economic, financial and social conditions, according to a draft government policy statement seen by Reuters on Wednesday. The statement sets the main policy objectives of Prime Minister Saad al-Hariri’s national unity government that was finally formed last week after nine months of wrangling over cabinet portfolios. With one of the world’s highest public debt burdens, Lebanon says it will carry out reforms that have been put off for years but are now seen as more pressing than ever to put the public finances on a sustainable path. The draft policy statement commits to bringing down the debt-to-GDP ratio by boosting the size of the economy and reducing the budget deficit. 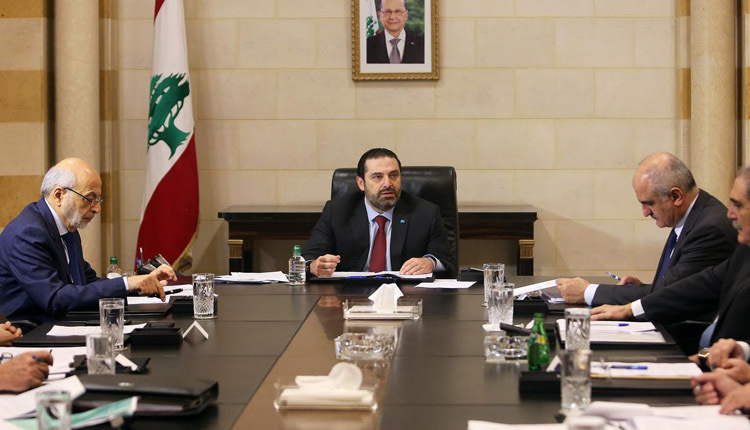 Echoing a pledge made by Hariri at last year’s Paris donor conference, it says the government is committed to a “financial correction” equal to at least one percent of GDP a year over five years, starting with the 2019 budget. This would be achieved by boosting revenues and cutting spending, starting with transfers to the state-run power company, which the World Bank has said represent a “staggering burden” on the public finances. The draft statement also said the government would freeze state hiring in 2019 in all its forms. State hiring in the four years to follow would be half the number of retirees and only on condition the deficit reduction targets had been met. Information Minister Jamal al-Jarrah, speaking to journalists, said tax increases were not being considered. He said there were no big points of contention over the statement and it was expected to be approved on Thursday by the government, which includes the Iran-backed group Hezbollah. International donor institutions and foreign governments want to see reforms before releasing some $11 billion in financial assistance pledged at a Paris conference last year. Hariri aims to use the funds, mostly soft loans, for a capital investment programme that would boost low growth. Lebanon’s economy has been hit by factors including years of regional turmoil, including the war in Syria. The draft policy statement said the government would continue the policy of exchange rate stability, calling it a priority for “social and economic stability”. The pound has been pegged to the dollar at the same level for over two decades. The government would award licences for offshore energy blocks in a second round of tenders by the end of 2019, the draft statement said. Exploration in the first block by a consortium of France’s Total, Italy’s Eni and Russia’s Novatek began last year. Lebanon has some of the world’s worst debt and balance-of-payments ratios, and its ability to dodge financial disaster has for years confounded critics, whose warnings of debt defaults, balance of payments crises and a collapse of the pound currency, have all failed to materialise. Its financial system has depended for funding on financial transfers from the diaspora, though questions over the sustainability of the model have grown due to a slowdown in remittance and deposit inflows. President Michel Aoun said the financial situation was improving. Aoun also said that interest rates were expected to start falling soon. A presidential source said he was referring to high rates offered on bank deposits. Kevin Daly, Senior Investment Manager in Emerging Market Debt at Aberdeen Standard Investments, said it clearly looked “like an unsustainable story over the medium term”.